Hang Gliding & Paragliding Enthusiast ! Paul started Flying in 1972. 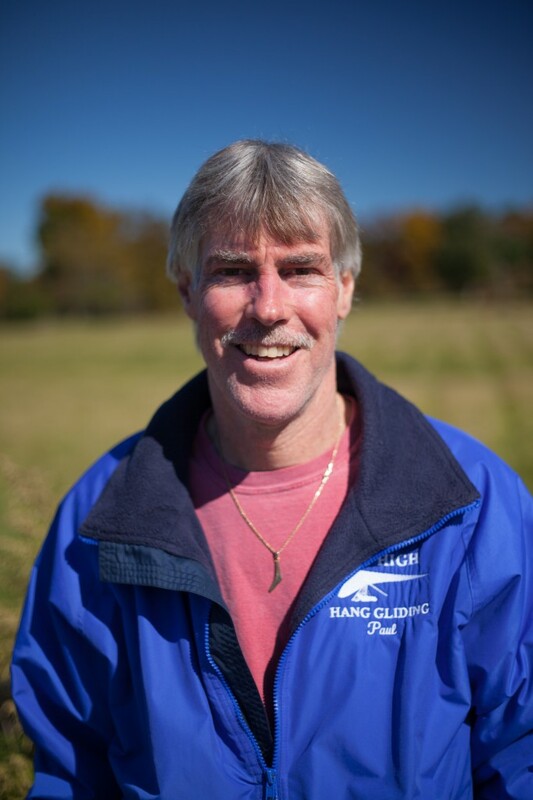 As a former Vice President of the USHGA, and current USHPA volunteer board member, Paul continues to donate his time and services to the organization and the pilot community, in order to help insure the sport of hang gliding continues to grow. This IS however, a 2nd chance to defeat this proposal, which would be better for the membership (IMO). 6000 members didn’t vote last time… let’s fix that! My reservations are, if anything, more critical after the Spring Board Meeting. We learned only at the very end of the meeting that a “do-over” is needed. Throughout the balance of the meeting, we were operating as if the conversion (to the new BOD system) was to happen at the conclusion of the meeting, but the process seemed very confusing… with lots of questions no-one had answers for. My MAIN objection… is that I don’t think the old system is broken. I saw it evolve over time, and it has worked well for many, many years. Decisions (by the current board) are carefully vetted by many minds, and the policies that result are arguably well thought out. Proponents of the new proposal basically Hijacked the MAY magazine and stated (as if it were fact)… that the old system is broken, while describing the new proposal as a “save all” concept (as if that were fact). That was questionable behavior. This new proposal… if passed… will not be a success out of the box (if at all). It will take many seasons to work out the quirks as they arise. We will be wasting lots of time implementing and refining this program. The decline in our Sports is what has folks frustrated… and they think changing the BOD structure is going to fix the Sports. Not going to happen. When the insurance crisis happened, yes… the mechanics of the “large” BOD were problematic in a time crunch situation… and also frustrated these same people. A small group did all the RRRG insurance crisis work, (and I appreciate that! )… but the product (as we know) is fraught with issues that need a lot of fixing (IMO). I only mention this as an example of how more minds might have made a better product? Creating a small board… so it can function “effectively”… like the RRRG group did…. (Making BOD & Bylaws changes that allow this to be “proper” procedure) is not in the USHPA membership’s best interest. Fast decisions do not = GOOD decisions! We have spent the last 24 months discussing this proposal already…. And now plan to spend more time on it. THEN… if it passes…we will have to spend much more time & resources to address glitches in the roll out… (I predict) over the next 3-5 years or more. (while still addressing RRRG fires and a shrinking pilot and instructor base). I don’t think the membership will have enough Intel or enthusiasm to vote for people from all over the country for this “new board”. I’m not convinced vote minimums will be met. A LARGE part of this proposal (besides “shrinking” the board) involves attempting to get “diversity” on the board. Persons who WIN elections (the people you may want in there)… WILL BE BY-PASSED for persons of diverse age, wing type, gender and Region. There is also a possibility that a region(s) can be left with NO regional directors for terms… if no “viable” persons from a region get enough votes nationally. My biggest beef with this is concept is the missing diversity component. INSTRUCTORS! There needs to be a person(s) of instructor background who will look at problems from the perspective of making instruction more attractive and affordable to current and future instructors. I would hate to see this proposal pass… and then… become a failed experiment afterwards. THEN WHAT ?? I can’t promise the large (current) board can fix the Sports declining numbers… but they can produce as good (and probably better/more well vetted)… policies than a small board would… and can start doing it NOW without this distraction.